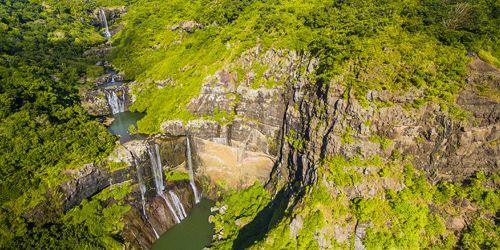 Explore the beautiful crystal-clear Mauritian lagoon through a thrilling Seabob Adventure. 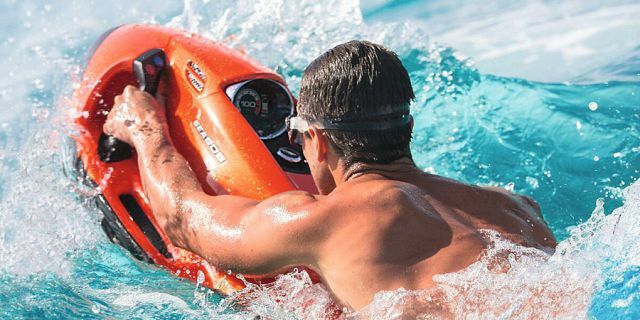 The Seabob is easy to handle and provides you with incredible agility that enables you to 'swim like a dolphin'. 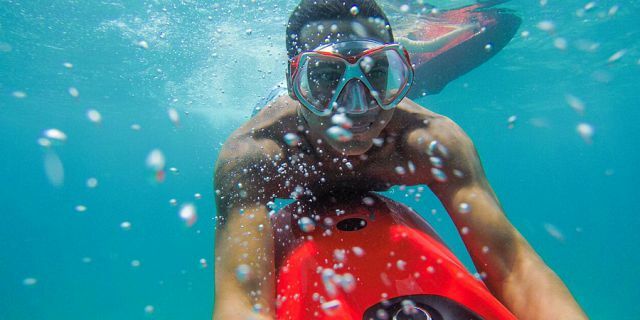 You can use this ultimate, high-performance watercraft to explore the underwater world and discover the amazing marine life that the Indian Ocean hosts. 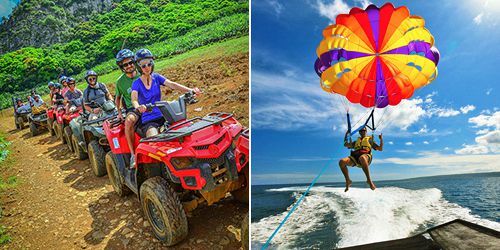 As part of this package, your adventure will begin with a 15 to 20-minute boat ride and the Seabob activity can either be 15 minutes or 30 minutes long, depending on your choice. 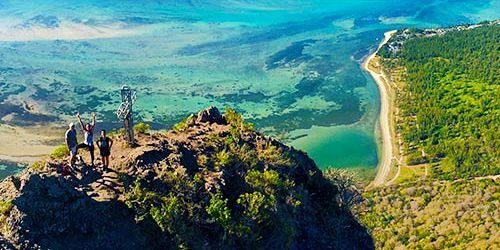 The boat that will take you to the designated activity area, will move at a relatively moderate speed so you can marvel at the exquisite lagoon, the spectacular reefs and the sandy beach. Once you reach the designated area, you will have a quick briefing on how to maneuver the watercraft. 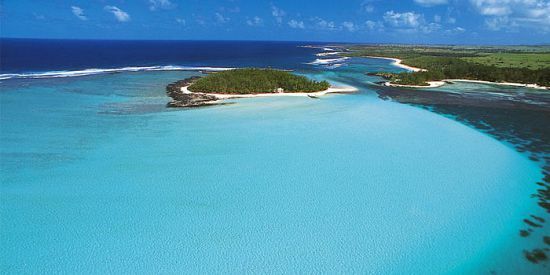 Then, you will be able to ride the waves of the splendid Mauritian Lagoon with superb agility, thanks to the Seabob. 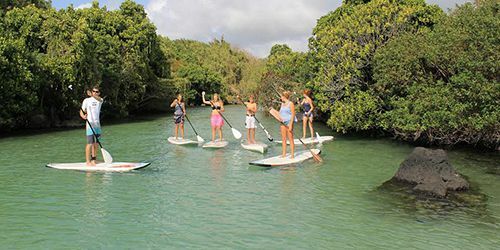 Riding a high performance, lightweight and dynamic Seabob in the turquoise waters of our lagoon is a very thrilling experience, where you can dive with banks of exotic fish and other marine creatures or ride on the waves to experience an incredible adrenaline rush. 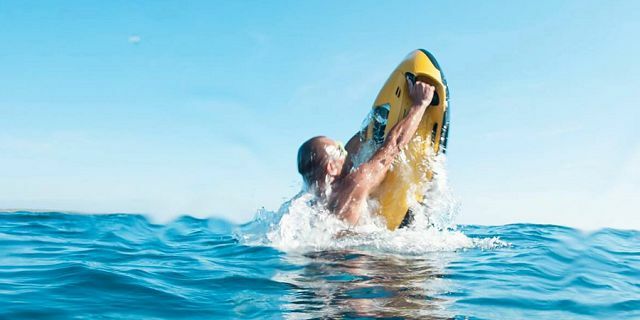 Thanks to its very simple handling, you will discover a unique experience, completely different from other nautical activities. This nautical activity is accessible to everyone, including children. 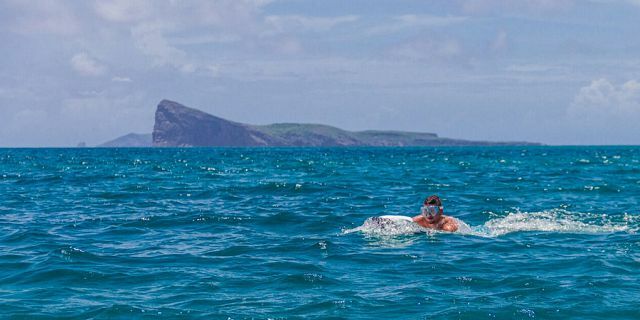 Enjoy this exciting seabob adventure for a memorable experience! 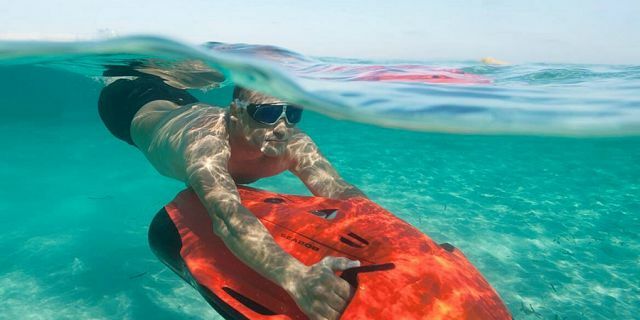 The Seabob is a German-manufactured nautical vehicle designed to offer you a great level of agility under water through its hydrodynamic shape. Steering and diving could not be easier – all it requires is for the pilot to shift their body weight. Its special degree of dynamism in the water, results from the high performance of the craft coupled with the low power-to-weight ratio. How does the Seabob work? 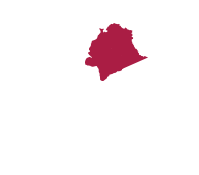 Before handling the device, a trained instructor will brief you on the basics. A green button on the right of the cockpit is used to increase power, a red button on the left to decrease it, and a trigger on the right handle to activate the propulsion system. 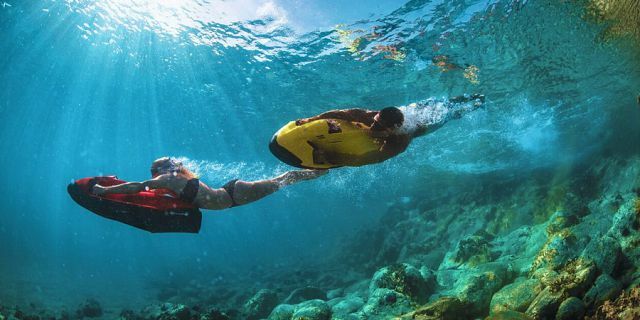 If the machine exceeds a depth of 2.5 meters, the propulsion system will automatically lock the device and the Seabob will rise to the surface within seconds. The Seabob can tow at impressive speeds of up to 14 mph on the surface and up to 12 mph underwater. 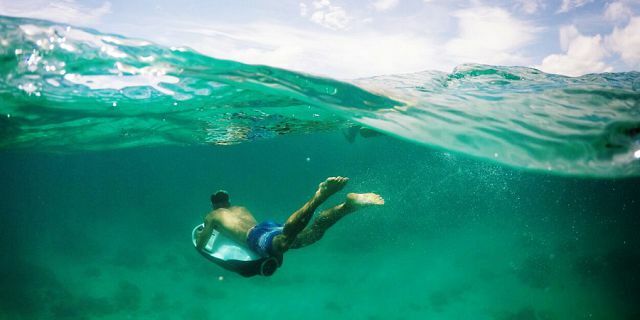 The Seabob can used to explore the surface of the sea and/or beneath it. 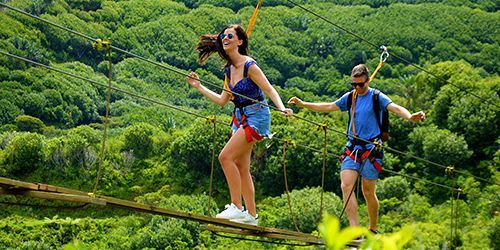 You are required to arrive at the departure point at least 15 minutes prior to your activity time. 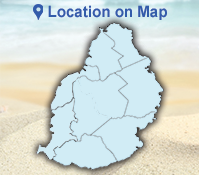 It is recommended to bring proper swimwear, towels, a hat, drinking water and sunscreen.